Oddly, one area of vehicle service that a surprising number of motorists overlook is that associated with the fuel system. The reality is that regular fuel system service is extremely important. 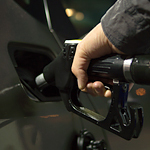 One of the benefits of regular fuel system service is that it enhances fuel efficiency. In addition, regular service on the fuel system optimizes engine performance. It also aids you in avoiding costly repair and replacement issues down the road. The manufacturer of your car will have a recommended schedule for fuel system service. You also need to take into consideration your own personal use patterns. If you have questions about fuel system service, or if you are in need of this type of assistance, the team at Motor City in Lafayette stands ready to assist you. We can provide you comprehensive fuel system service as well as satisfy your other maintenance needs.